I have an iPad but cannot get Flash player to work on it? 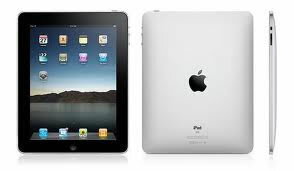 Apple have purposefully not included Flash on their iPad because of security and stability concerns. However, if you really want to run Flash on your iPad, you can download an App called Skyfire, which will enable you to view flash content. I am using a Windows 7 laptop to configure my Airport Express, but cannot seem to access any of the settings? 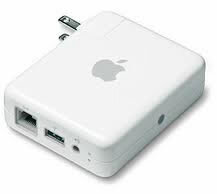 Unlike most standard routers whose settings can be accessed via a web browser such as Internet Explorer or Firefox, Airport Express must be accessed through the Airport Express Utility. This comes as standard with Mac OS X. For a Windows computer, you can download the Airport Utility for Windows to enable you to configure your Airport device. I am trying to use my old external hard drive, which I used with Windows, to synch with Apple Time Machine but it is not recognised? Your Windows external hard drive is probably formatted with FAT32 or NTFS. For the drive to work with a Mac, ideally it should be formatted using Mac OS Extended Journaled (HFS+). Once your drive is formatted with OS Extended Journaled, whilst not readable on a Windows machine but will be readable on a Mac. How can I easily check if Time Machine is working properly without trawling through lists of different log files? You can download a free widget called Time Machine Buddy that will quickly show you recent logs of your Time Machine operation. In Apple Mail, when I try to reply to, or forward an email, only about half the original message is included? To solve this problem, go to Mail Preferences, click on the Composing button, and tick the checkbox which says “include all of the original message”. When I start up my Mac, I get a flashing no-entry sign icon on the screen? This is usually a sign that there is problem with your hard drive or possibly your logic board. Run drive diagnostics as soon as possible. What printers work best with a Mac? The majority of printer manufacturers now have Apple drivers available for their products. From our experience, the drivers that come with Brother and Canon inkjet / laser printers work well with Mac computers. When using Quicktime player, there is no sound, but I still get sound from iTunes and hear alerts? How can I get my sound fully back on my Mac? This usually happens when a third party application sets the audio sample output rate too high for certain applications to use. To resolve this, go to Audio Midi Setup and set the output format to 44100 Hz. When I plug external speakers into my MacBook Pro, the sound still comes out of the internal speakers? For the Macbook Pro range of laptops (which use discreet audio engines) this feature is by design. You manually have to configure which output device you wish to use. Go to System Preferences > Sound. Click on the Output tab and select which output device you wish to use by clicking on it. When I open up System Profiler, devices seem to be missing? System Profiler shows different information depending on which view mode you are in. When you do not see all your devices listed, it is usually because Mini or Basic Profile is selected. Go to View, then select Full Profile to see all your devices. What’s the main difference between running Bootcamp and an application like VMware Fusion or Parallels? 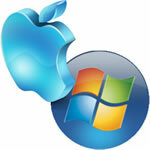 With virtualisation software like VMware Fusion or Parallels, you run Windows within Mac OS X. You launch Windows inside OS X as you would any other application. With Bootcamp alone, you cannot launch Microsoft Windows from within Mac OS X but are given an option after powering up your Mac whether you want to load Mac OS X or Microsoft Windows. Somebody has sent me a .rar file which I cannot open on my Mac? You can use UnrarX to uncompress file with the .rar extension. I’ve uninstalled a few programs from my Mac computer but I’m still seeing traces of them on my system? Am I uninstalling them correctly? Even when you drag unwanted programs to the Trash, it is normal for traces of them to remain on your Mac system. Apple’s reasoning is that these files are quite small and in most cases don’t slow down your Mac. That is the official line from Apple. One benefit of this is that if you ever reinstall the program, your system files and preferences are kept intact. However, the downside is that over time your Mac might have a lot of redundant files on it’s hard drive which will take up space, make finding files more difficult, and eventually can slow your system down. To cleanup your Mac you can perform a manual clean-up of your drive or use a specialised application. Assuming the user knows what they are doing, a manual clean-up is preferred rather than a “point-and-shoot” clean-up application that could potentially delete useful system or preference files. What are mds and mdworker processes? In Activity Monitor they seem to be using a lot of CPU usage? These are processes connected with the Spotlight indexer. You can let the Spotlight indexer run its course (advisable) or if it has become a big issue for you, it is possible to turn off this feature. 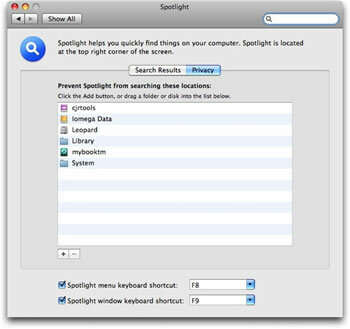 To disable Spotlight indexer, go to System Preferences > Spotlight > Privacy then add all your hard drive (or drives) to the box which is titled “Prevent Spotlight from searching these locations”. When I press the power button on my Apple Mac, I get a flashing globe icon on the screen? This means that your Mac is set to boot-up from a network. 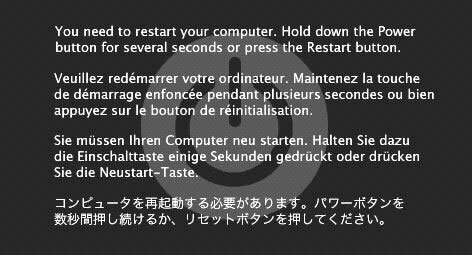 Your Mac should start-up normally after a few minutes when it has not found a network boot-up device. If you are not booting up from a network, simply go to Preferences > Startup Disk and select the hard drive device which contains your bootable OS. I am using two new MacBook Pros in my office. Last week I brought in my 4 year old Macbook but ever since I started using it, the whole wireless network in my office seems to have slowed down? It is likely that your two new MacBook Pros are using the 802.11n wireless mode. When your older Macbook, which is probably 802.11g, joined the network a lot of wireless routers will “drop down” their speed to accommodate the slower device and this is probably the cause of your problem. Our advice would be to connect your old Macbook to a wired connection or aquire a newer wireless 802.11g card for your Macbook. I transferred files from my old Macbook to my new MacBook Pro using Migration Assistant but now some files will not open? You must be logged in as an administrator. Highlight the folder you do not have access permission for and press Command + I. This should bring up the Get Info box. Browse to the lower right hand corner lock and input password to unlock it. If you open the Get Info box and discover your username is not on the list you must add it. To do so click on the “+” on the lower left hand corner. Then highlight your name in the left column. Change your Privilege setting to “Read and Write”, then click on “-“ sign and click on “Apply to enclosed items”. You should now have full access to all your folders. I’ve moved over to a new Mac, now my Quark Xpress won’t activate on it. I am positive I am using the correct activation code and have verified that the software version is compatible? This is a very common problem with Quark software. You must go to your old Mac and deactivate the program. The deactivation process is important because its tells Quark’s online server that you will no longer be using their program on a second system. Once deactivation of the software package has been completed, activation of the software on the new machine should successfully complete. How do I maximise the battery life of my Macbook? Turn off Airport – The wireless adaptor in your Macbook uses more power when it is enabled. Deactivate Bluetooth – Bluetooth is another wireless adaptor in your Macbook that is relatively power hungry. Turn Off the Backlit Keyboard – The backlight behind your keyboard can be another drain on your battery. 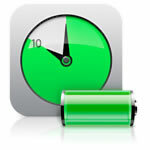 Calibrate your battery – You can change your battery settings to minimise power consumption. I keep on getting a “connection timeout” message on my Mac when I’m connected to my wireless router or when I bring my Mac out of sleep-mode? Many Mac users have experienced problems with built-in Airport wireless adaptors. Changing your wireless encryption type from WPA2 to WPA2 personal. Using Airport Utility to change the wireless channel number on which your router transmits. You can also change your connection type from Automatic (DHCP) to Manual. Mail is constantly asking me for my login password which has become very annoying? Go to Applications Folder > Utilities. Then under Keychains in the left column, doubleclick on “Login”. Then select “Change Settings for Keychain Login”. Uncheck both boxes “Lock after 5 minutes” and “Lock while sleeping”. We are a small office in Dublin but have branches in Cork and Limerick. Occasionally we collaborate on projects using Word and Excel files. Some of the users are using Windows-based PCs. Instead of emailing files back and forth, is there a simpler solution? You can use an online (cloud) based storage utility called Dropbox. It is ideal for storing files for simple collaboration tasks and is available to Mac and Windows users. is used and 256-bit AES is used once the data reaches the Dropbox servers. If you delete files in your Dropbox, they’re marked as deleted on your online account but you can still recover them by logging in and navigating to More Actions > Show Deleted Files. To share folders among all users, simply navigate to Dropbox > Sharing Options. You then enter the email addresses of those with whom you want to share the folder and click on Invite, then tell them to check their email. Once in Dropbox, they will have access to all Word, Excel and any other files which you have put in the shared folder. Every time I watch a movie on YouTube the screen dims out after a couple of minutes unless I touch the trackpad? How can I watch a movie without having to continually touch the trackpad? To overcome this problem you can install a small app known as Caffeine on your Mac. When you run the app, you’ll see an empty coffee cup icon on your menu bar. When you click the icon, it turns into a full coffee cup. This means Caffeine is enabled. Now your Mac won’t automatically go to sleep or dim your screen. CDs and DVDs are constantly ejecting from my Macbook? It is possible that your CDs and DVDs are dirty. This is especially true if there are kids who use your Mac. Another reason why Macs eject optical media for no apparent reason is that dust has made its way onto the lens of the drive. This can be cleaned by using a special lens-cleaning CD or an air duster. If none of these solutions solve your problem, it’s possible the drive itself is defective and its time for a replacement. Even though I’ve set Adobe Reader as my default reader for .pdf files, my Mac continually reverts back to using Apple Preview for reading .pdf files? Try deleting this file com.apple.reader.plist from /Users/YourName/Library/Preferences. The search function in Mail no longer seems to work. No matter what I search for, Finder no longer finds anything? Terminal will safely reindex your inbox and should restore the search function. I am using an IMAP account within Mai and recently received attachments that I cannot open. They cannot all be corrupt? You can try rebuilding your mailbox. Go to Mailbox > Rebuild. Now messages with previously indecipherable attachments should become readable again. The cause is usually a partially downloaded attachment. Mail thinks the download is complete when its really not. When you rebuild the mailbox, Mail is forced to download the attachments(s) again from the server. 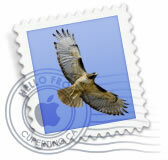 I am trying to open up an attachment on my Mac called “winmail.dat”? These winmail.dat files are usually Rich Text Format files created on Windows PCs. You can get the sender to resent the file in another format or you can download the free Letter Opener utility to extract and read the file. Using Mail, I am trying to send an attachment to a recipient who uses Windows. Each time I send the attachment, the Windows user reports that all he receives is a .dat file. I have even tried sending the file using Thunderbird but the same thing happens? There is a simple solution to this problem. Open up Mail. Go to Edit. Then open up Attachments. Make sure there is a tick beside “Send Windows Friendly attachments”. I cannot send email from WiFi hotspots when I travel? In an effort to prevent spam, public WiFi networks often block SMTP port 25 which is used by email to send outbound emails. In order to send email from a public hotspot you can edit your SMTP settings in Mail to use ports 465 or 567 (these ports usually allow outbound SMTP traffic from public WiFi hotspots). To do this, open up Mail, select Preferences and click on the Accounts tab. Choose the email account which you are using. From the Outgoing Mail Server menu, choose Edit Server list. Select the SMTP server and then select Advanced tab. Put a tick in the box beside “Use Default Ports (25,465,587). I have an .avi file that was created on my Windows PC, now I want to play it on my Mac but Quicktime won’t allow me? The best solution would be to download the VLC or Handbrake (Mac Version) and this should play your .avi files without a problem. When I turn on my MAC it beeps just three times, what could be the problem? Macs use a series of beep codes to indicate possible problems encountered during POST. 3 beeps is usually indicative of failed onboard RAM. Other beep codes are indicative of other hardware problems. There are a lot of important files on my Mac, how do I minimize the chances of losing data? Try not to move your computer when your hard drive is spinning. Before, you move your system you should put it into sleep-mode. If you are using an external hard drive or USB flash drive, you should always eject the disk by dragging it to the Trash icon (which will change to an eject icon). Alternatively, select the drive and hold down the Command and “e” key simultaneously. I am giving a presentation soon with my MacBook Pro running OS X 10.4. How do I connect this to a standard projector? Mac laptops do not have VGA-out ports like Windows-based laptops but instead use MiniDisplay ports. 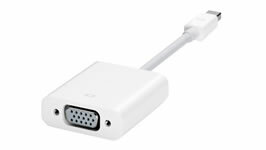 In order to connect your MacBook to a standard projector, you will need to acquire a “MiniDisplay port to VGA” adaptor. My number keys on my Macbook Pro are not working anymore? I recently installed some new applications on my Macbook Air. Now some of the fonts seem distorted? When you install new applications, sometimes they install newer versions of fonts in your Fonts folder. Therefore, you end up with two versions of the same font which can result in the distortion as you describe. To solve this problem, go to Applications and then Book. When Font Book opens up, press Command+A to select all fonts. Then go select Edit > Resolve Duplicates. I am trying to uninstall components of a program from my System and User library, however when I go to send them to the trash, I get the message “the program is in use and can’t be moved or deleted”. How do I remove this program if its claming to be in use? Open your Activity Monitor, find and highlight the program. Then select “Force Quit”. When you have done this, you should now be able to delete it. I am trying to install PGP whole disk encryption on my dual-booting Macbook but keep on getting an error message? PGP encryption will not install on a Mac which uses a Bootcamp partition. Your best alternative is to use FileVault to encrypt specific folders. When I attempt to mount any disk images or move applications to the Applications folder, I keep on receiving error messages? It is possible that your hard disk drive’s permissions need to be repaired. To do this, open up Disk Utility. Select the name of your startup disk and click on Repair Disk Permissions. I have a document here that keeps opening with OpenOffice Writer but now I use Office Mac. 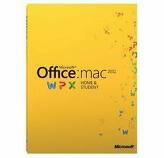 How do I get my Mac to open it with this instead of OpenOffice? 1) Select the document you are interested in and press CMD-I. This should bring up the Info window. 2) Expand the Open With section. The application with which the document is currently associated is shown on the pop-up menu. Use the drop down arrow to select Office Mac. If Office Mac is not listed under the Open With menu, select All Applications command which will bring you to complete list of applications which your file type can be opened with. I have all my Mac backed up on a Time Capsule device. How do I transfer all this information easily onto my new Mac? 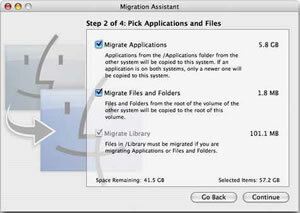 The quickest and easiest solution would be to use a firewire (400 or 800) and use Migration Assistant to transfer over the data. Every time I open up Properties for my HP printer, my Mac freezes? Double click on Library folder. Then navigate to Printers. Drag the any HP folders to the trash can. Once that is complete, open up Library again, now navigate to the Receipts folder and delete any HP receipts. Restart your computer and then reinstall your printer driver (preferably the latest one from the HP website). My iPad shows a very weak signal in my office when other laptops and devices seem to be connecting at full strength? 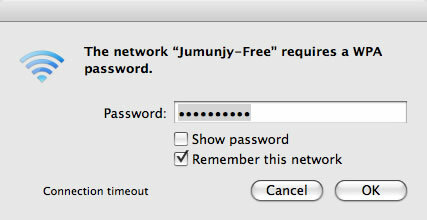 First change the encryption type of your wireless network. Apple recommends that WPA2 encryption works best with the iPad. Howwever, some users have reported that changing their network to WPA2 did not solve the problem. In this case, we recommend that you disable Mac Filtering /Authentication. With strong encryption like WPA2, Mac address filtering is not really needed anyway. Once Mac address filtering has been disabled, retry logging onto your network and you should get normal signal strength. I am trying to install Windows 7 using Bootcamp but it says I don’t have 10Gb free. I’ve checked the size of my drive and I have nearly 70GB free? This is a common problem when using Bootcamp. While Bootcamp does need 10GB of free space to install Windows 7, its installer needs 10GB of continuous free space. Therefore, even if you have file fragments at the end of your partition, it will classify this space as “used”. To resolve this issue, you simply have to run a defragmenter like iDefrag to clean-up your “stray” data clusters. After the clean-up, run Bootcamp again and it should detect your real amount of free disk space. I am trying to eject a CD from my cd-rom drive (superdrive) but it will not let me, even if I press the eject button continually? Restart your Mac while simultaneously holding the eject button. This should release the CD. If this does not work, open up your Mac’s Terminal utility, and type in “drutil tray eject”. Do you have any quick tips for speeding up my slow Mac? Hard Drive Space - Make sure you have enough space on your hard drive. When you have less than 10 per cent of space left on your hard drive, Mac OS X can get really slow. Mac OS X uses Virtual Memory extensively (Virtual Memory works when data that your RAM cannot handle is temporarily transferred to your hard drive). When your hard drive is nearing full, the swap file process cannot efficiently take place, the user will notice a lot of slowness. Therefore, it is recommended therefore that you have at least 15-20 per cent free space on your drive. If you exceed this, its time to do a clean-up or get a bigger drive. Clean up your Desktop – The more stuff you have on your desktop, the slower your system will be. Take all your icons and put them into one folder instead of having them spread out all over Finder. Repair your permissions – Mac OS X is permissions based. If your permissions are set incorrectly, certain functions will not perform or contribute to performance problems or certain function may fail to initialize altogether. If you are using your Mac for graphic rendering applications, you should have sufficient RAM (memory) installed. These are just quick tips. For a proper assessment as to why your Mac is slow or to investigate any other possible underlying reasons contributing to your Mac’s performance get a qualified and experienced technician to investigate. I have saved a document in .pdf format but when I open it with Preview, there is a dark and light grey pattern behind the text which makes it difficult to read? This normally occurs when a user saves a file as a .pdf but views the file with Preview. To get a “normal” view of the file, go to the View menu and uncheck “Show Document Background”. I have an Eircom (Vodafone / UPC / Magnet) connection in my office but I cannot seem to get connected to it. My Windows PC connects fine. What should I check for? If your Windows PC is connecting successfully to the internet the problem most likely resides on the settings on your Mac. Go the Apple Menu and select System Preferences. Select Network from the View Menu. Select Active Network Ports from the pop-up menu. Verify that the checkbox “Built-in Ethernet” is ticked. Make Built-in Ethernet the preferred network by dragging it to the top of the Port Configurations list. Select Built-in Ethernet from Show pop-up menu. Verify that the checkbox for “Connect using PPPoE” is selected. I am using a Samsung multi-function printer. It prints fine but cannot scan when connected to my Apple Mac. First of all, make sure you are using the latest driver from the Samsung website. If that does not work go to System Preferences > Print and Fax > select your Samsung printer, then click on Options and Supplies. When this window pops up, click on the Diver tab. You will probably see Generic PostScript highlighted with your Samsung driver mentioned underneath it. Set this Samsung file as the driver and try rescanning. How do I put my Mac into 64-bit mode? Assuming you already have a Core 2 Duo processor or higher, you should be able to put your Mac into 64-bit mode. This mode enables you to use certain applications faster and to their full potential. In order to activate 64-bit mode simply, press and hold “6” and “4” as your Mac is starting up. When I turn on my Mac I get the message “You need to restart your computer, hold down the Power button for several seconds or press the restart button”? Can you recommend a good navigation app for my iPhone? Navigon or TomTom make some very accurate navigation Apps for the iPhone where data is stored locally on the phone, meaning quicker access times on the go. Occasionally, I need to view AutoCAD files from my Windows PC on my Mac but I do not have AutoCAD installed? If you save your AutoCad files in .dwg format, you can view them with Draftsight for Mac (free to download).